1821 California: Home of Joseph Kocien, a Bohemian frame carver and gilder. 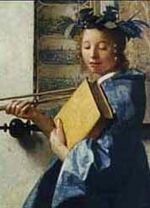 Frame carvers were skilled artisans, crafting wood to enhance the beauty of each painting. Gilders applied finish to decorative church and cathedral fittings, altarpieces, architectural ornaments, and panel paintings. 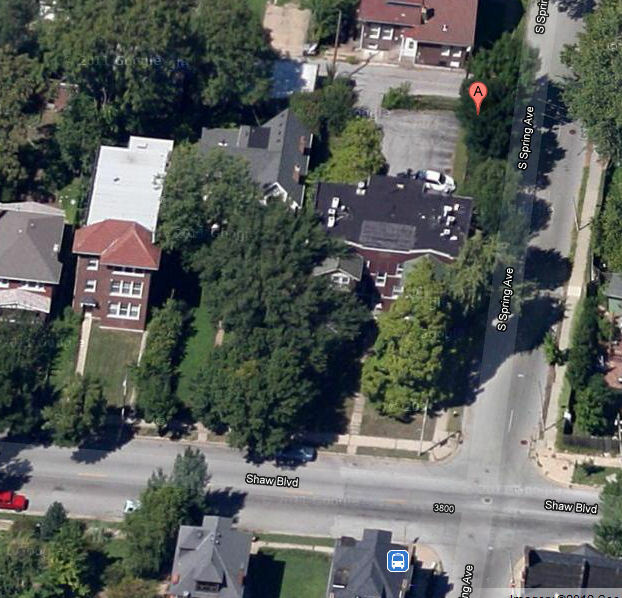 1803 S. Compton: Home of Frank P. Crunden, president of Udell, Crunden & Co., makers of wooden and willow ware. Frank was the brother of the St. Louis Public Library’s first chief librarian and director, Frederick Crunden. 1743 Missouri: Home of German born William Bodeman, president and owner of Wm. Bodeman & Co.’s Tobacco. In 1873, St. Louis was the largest chewing and pipe tobacco processor in the United States. By 1890, St. Louis hosted the largest maker of plug-style chewing tobacco in the world – Liggett and Myers. 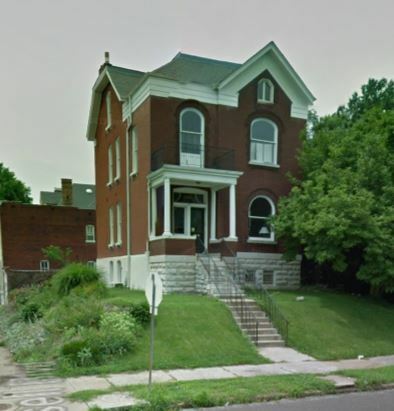 3300 Lafayette: Home of Martha Roe, widow of a prominent St. Louis steamboat captain who mentored Samuel E. Clemens. The vast estate included the family of her widowed daughter Emma Copelin, who dedicated Copelin Avenue when the land was subdivided in 1885, her California born nieces and nephews, eight house servants, a German-born teacher, two African-American coachman, and two gardeners. 1818 S. Compton: Home of Annie and Peter Oakes, owners of A. Oakes & Co., a candy manufacturer and confectionery shop with employed eight female salesladies in 1890. Cara Jensen is the founder of Sherlock Homes, a historical research company. She is the past president of the Shaw Neighborhood Improvement Association, serves on the Grand South Grand House Tour committee, and is active in the 8th Ward Independent Democratic Association. 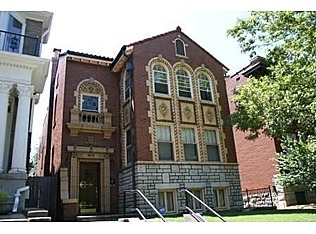 Contact Cara Jensen at 773-2881 or carajensen@sherlock-homes.us for information about your historic property. St. Louis has been courting the National Geospace Intelligence Agency to locate it’s headquarters at a 100-acre site in north St. Louis. The site is touted to bring economic stability to the area but it also houses families and businesses that would have to be removed by eminent domain. Regardless of the shameless political disregard for the current residents, these buildings have important memories that deserve respect. Babies born, elders passing on, celebrations, stories of joy and sadness, all have been absorbed by those walls. So I thought to peek into those windows and share a few of their tales before they are crumbled to dust. Built in 1905 by Otto Williams for his new bride, Miss Pearl Perry. Otto played baseball for St. Louis, Chicago, and was traded between New Orleans, the Athletics, Altoona outlaws, and Washington club of the American League all in one day! He also raised pigeons. Join me each Wednesday as I wander about the historical realm and examine what catches my eye! I pass this house each day on my way to and from my kids’ school and it always catches my eye – something about they way it looks older than the other houses on each corner and how it is set up on a hill. So it wasn’t built before 1875, as I checked my trusty Compton & Dry, next on to the city directories – 1891 listed a Henry Koch, clerk at Ely& Walker Dry Goods, as residing here, 1885 also listed Henry Koch, clerk at Crow, Hargadine & Co., and the 1883 directory also named Henry Koch as residing at this property. Now who was this Henry Koch? It’s interesting to me that he is with the Missouri Cotton Yarn company as I am an avid crocheter! My surface scan of a few hours didn’t turn up if Mr. Koch actually was the first owner of the house, or who did build it, but it’s certainly nice to have a more personal connection when I greet this house on my daily routine. See you next week for more wanderings! Extra! Extra! The first Shaw Neighborhood Walking Tour is now available! So excited and proud to unveil the first Shaw Neighborhood Walking Tour – a collaboration between the Shaw Neighborhood Housing Corporation and Sherlock Homes!!! This has been a long time in the works and has finally made it into print form – I wish it happy birthday and look forward to seeing it grow and evolve! Of course this gets me thinking about themes for the next walking tour – haunted, lawyers, roaring 20’s etc. etc. What would interest you in a themed walking tour? Is this Gothic Farmhouse the Oldest Shaw Residence? Every time I drive down Shaw Avenue, this tiny house whispers to me -almost hidden behind the large apartment building on the corner of Spring and Shaw, its gothic architecture and wooden siding seems an anomaly among the bricks and mortar of its neighbors. I am interested in #1 house – owned by Burchard. 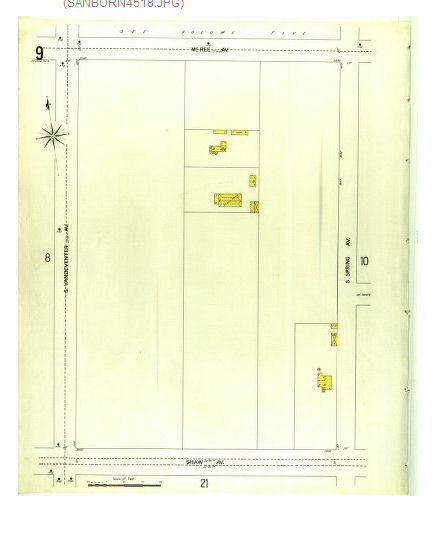 In 1878, Mortimer Burchard is listed as living on Shaw avenue west of Grand; the 1880 US Census lists him as living on Shaw Avenue, and in 1885 he remains listed on the NW corner of Shaw/Cabanne (currently Spring). According to this bio in the Book of Chicagoans (1905), Mortimer left St. Louis for Chicago in 1888. Between 1885 and 1900 records are a bit sparse. (there is no 1890 Census) However, in the 1900 Census, 3801 Shaw was RENTED to a widow Francesca von Fragstein, her two children, parents Carl and Sophia Richter, an Austrian servant and two boarders – must have been crowded! So let me jump forward. The reason I believe the house now located at 3809 Shaw is the house built by Mortimer Burchard is due to the 1920 US Census AND a chance building permit discovery. So I was researching a house on the 3800 block of DeTonty (the same city block as the house in question) and came across an interesting building permit listing. In 1910, a house was moved from 3801 Shaw to 3809 Shaw (at a cost of $800) to make way for the construction of an apartment complex. Ok, that explains the shift of 3801 Shaw to the west. The von Fragsteins, who were listed on that building permit, are still renting at 3801 Shaw in the 1910 Census with the additional spouses and children of the former children, the loss of the Richters, the same Austrian servant and a boarder. By 1920, all the von Fragsteins had moved to Lake Co. Illinois. Back home in 1920 St. Louis, 3809 Shaw (formerly our corner house) was inhabited and listed as owned by widower Mary LeDuc, her sister Julia Warne, and a border Hattie Chase. Doing a bit of sleuthing unearthed the fact that Mary LeDuc, Julia Warne, and the wife of Mortimer Burchard, Jennie Garrison Warne, were SISTERS. So in 1920, a house which is suspected to be owned by Mortimer Burchard in the turn of the century ends up housing his wife’s sisters? Bingo – amazing. Without verifying the deed research (which I will next time I visit City Hall), I would highly suspect that the house at 3809 Shaw is indeed the oldest residence in the neighborhood by at least 15 years and should be put on the National Register. I would love to know if anyone has more lore about this Shaw treasure and will definitely be keeping my eye on our Gothic gem! After an hour or so of digging, I found that the house had belonged to Don and Ruth Leonard, of Leonard Masonry. The more I dug, the cooler it got – Leonard Masonry did the Eagleton Federal Courthouse, Citygarden, Grand Basin restoration, most of Wash U campus, among many other award-winning projects! Since the house is showing age, careful, considerate renovations should take place and we hoped that whoever bought the property would honor it’s historical value. That is a valid concern and something which my research, coupled with historic preservationists, can ensure. I’ll keep my fingers crossed. A neighbor recently visited an open house for this beautiful Art Deco condo in our neighborhood and asked me if I knew anything about it. Not one to leave a curious friend in the dark, I did a bit of casual research. Classified as Art Deco, it was built between 1930 and 1936. One of the original residents was Van Graafrisled Hildebrand and his wife Cornelia Barnes Blank. Van Hildebrand was a federal claims agent for the Anheuser Busch Brewer’s Association. They must have made the journey west since he died in Los Angeles in 1961. In 1938, I found a Dr. Raymond Edward Doyle and his wife Margaret residing in the 3634a unit. Dr. Doyle was from Pueblo Colorado and studied medicine at St. Louis University, served in WWI, and came back to St. Louis to practice in the Veteran’s Bureau at Jefferson Barracks in 1930. Dr. Doyle and his family lived at 3634a Arsenal until his death from heart disease in 1958. In 1940, Oliver Steele lived at 3634 Arsenal, He founded Oliver Manufacturing in 1930 in St. Louis and then moved the company to Rocky Ford, Colorado in 1947. It is still in existence. Whew – all this in just an hour of research! Sometimes I have to stop myself before I wade in too deeply and lose track of time. So that’s it for now – I hope my neighbor enjoys this peek into the past as much as I have enjoyed my morning!